Adelaide's turn for Ben & Jerry’s Openair cinemas begins on Sunday. If you’ve got a spare second at the beginning of the festive season, here’s how to spend it. The lead yachts in the planet’s longest ocean race, Clipper Round the World, began arriving in Albany Marina early in the week, after 7500km across the Southern Ocean from South Africa. The city celebrates with the Clipper Festival on Saturday (November 30) at Albany Boat Shed, with local produce, wines and arts on display. There are a host of other events on until the boats leave on December 3. The Pan Pacific hotel encourages you to live the high life with a Christmas twist, any weekend between December 1 and Christmas Eve, by indulging in its Sparkling Noel High Teas. Sparkling wine, limited-edition Christmas teas, roast turkey & cranberry finger sandwiches and mince pies star on the festive menu. ($48, bookings essential). It’s Sydnersider’s last chance to see the gritty and compelling offerings of the touring British Film Festival this weekend. Palace Cinema Leichhardt, The Verona and The Chauvel are screening contemporary thought-provokers as well as the Top 5 British films of all time until Sunday. A pre-Christmas weekend away without the ‘other half’ to Sydney’s mountain playground? Blue Mountains Girl Getaways has a couple of new packages, The Glorious Gourmet Girls Weekend Away and The Simply Delicious Girls Weekend Away, offering cooking classes, dinner at Bistro Niagara and a food market browse (from $275 per person). Saturday night will be your last chance this year to lose yourself amongst the 25 stalls of the Asian Night Noodle Markets in Melbourne’s Alexandra Gardens. The city’s top eateries, such as Chin Chin and Longrain, serve up a broad variety of Asian dishes (try the Peking duck pancakes) with bars and nightly entertainment enhancing the experience. Starts 5pm weekdays, from 4pm on Saturday (last night). 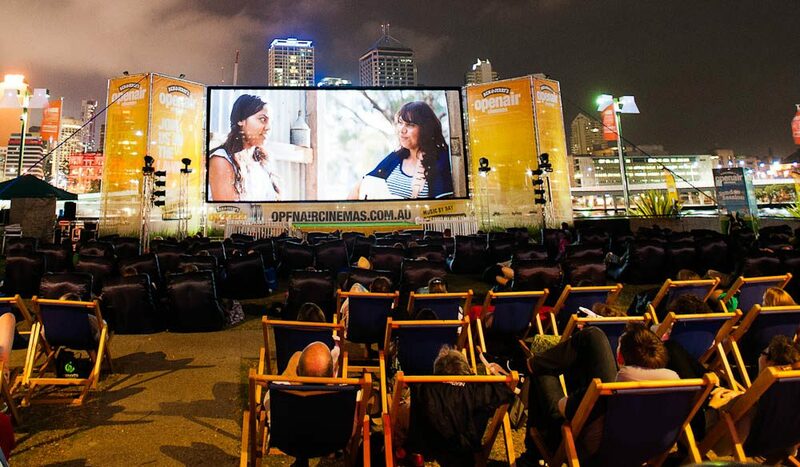 The touring Ben & Jerry’s Openair Cinemas begins its Adelaide’s run of outdoor entertainment on Sunday. Music stars during the day, with local DJs spinning tunes from Tuesday to Friday, and then the flicks (classics and newbies) take centre-screen once the sun goes down. There are bars, gourmet food vendors and, most importantly, a free ice cream on Sundays.